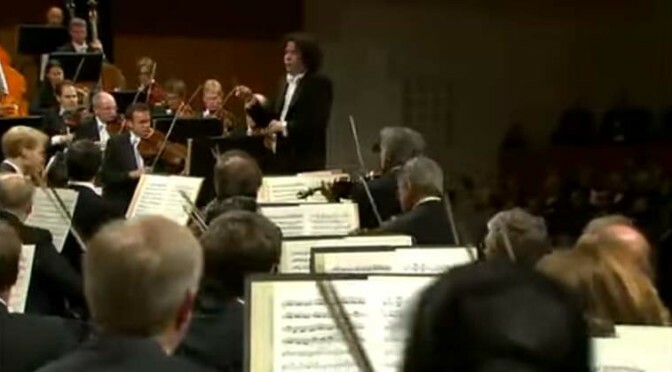 Wiener Philharmoniker’s (Vienna Philharmonic Orchestra) New Year Concert in 2009. Conductor: Daniel Barenboim. The New Year’s Concert of the Vienna Philharmonic is a concert of classical music that takes place each year in the morning of New Year’s Day in Vienna, Austria. 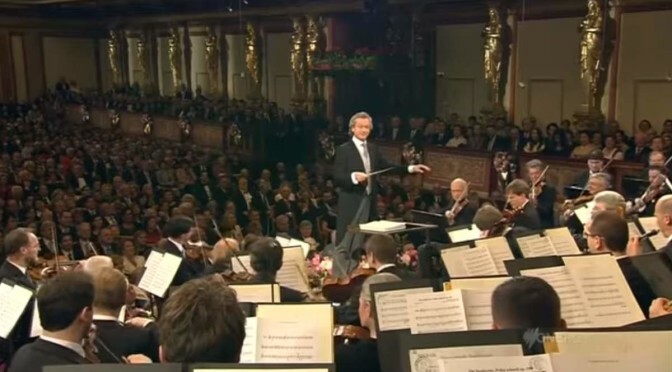 Conducted by Zubin Mehta, the Wiener Philharmoniker (Vienna Philharmonic Orchestra) performs Einzugsmarsch from the “Zigeunerbaron” (The Gypsy Baron), an operetta in three acts by Johann Strauss II. Recorded at the the Heldenplatz in Vienna on May 29, 1999. Published by the EuroArts channel. Wiener Philharmoniker’s (Vienna Philharmonic Orchestra) New Year Concert 2007, a concert of classical music that takes place each year in the morning of New Year’s Day in Vienna, Austria. Conductor: Zubin Mehta. 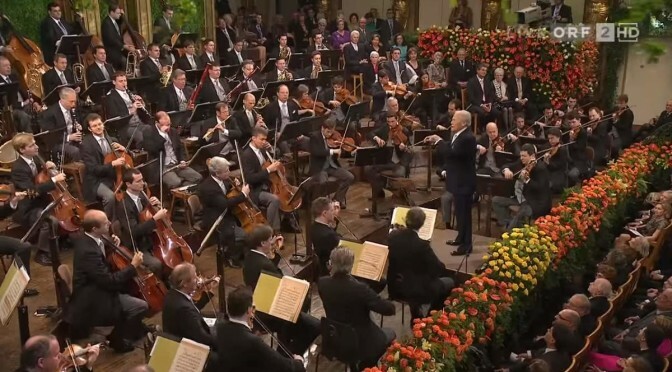 Wiener Philharmoniker’s (Vienna Philharmonic Orchestra) New Year Concert in 2010. Conductor: Georges Prêtre. The New Year’s Concert of the Vienna Philharmonic is a concert of classical music that takes place each year in the morning of New Year’s Day in Vienna, Austria. Spanish tenor José Carreras sings Gondellied from “Eine Nacht in Venedig” (English: A Night in Venice, an operetta in three acts by Johann Strauss II). 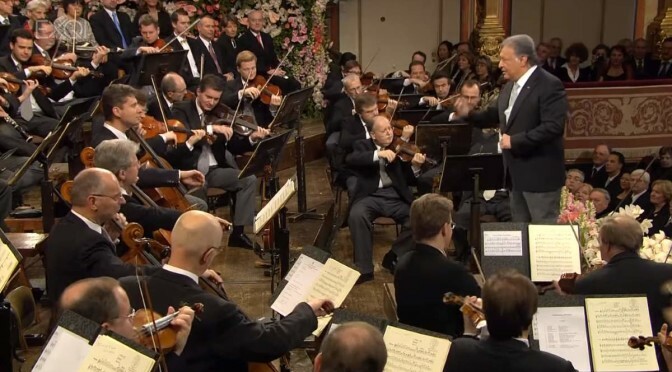 The Wiener Philharmoniker (Vienna Philharmonic Orchestra) conducted by Zubin Mehta. Published by EuroArts channel. Conducted by Georges Prêtre, the Wiener Philharmoniker (Vienna Philharmonic Orchestra) plays Orpheus-Quadrille (on themes by Jacques Offenbach), Op.236. From the Vienna New Year’s Concert 2008.